Opening on the anniversary of the Chernobyl disaster, Liquid Land: Legacies of Oil and Power at Impressions Gallery reveals the struggles and resilience of people living in some of the world's most polluted areas in the former Soviet Union. This is the first UK showing of this new exhibition by award-winning Azerbaijani photographer Rena Effendi, and brings together two related bodies of work made over the last ten years.Chernobyl: Still Life in the Zone is a moving portrait of the lives of elderly women in the Ukraine's notorious Zone, the restricted area around Reactor 4 which exploded on 26 April 1986. In the aftermath of nuclear catastrophe, these women returned to reclaim their homes from an inhospitable world where most of the food they produce still contains dangerous levels of radiation. 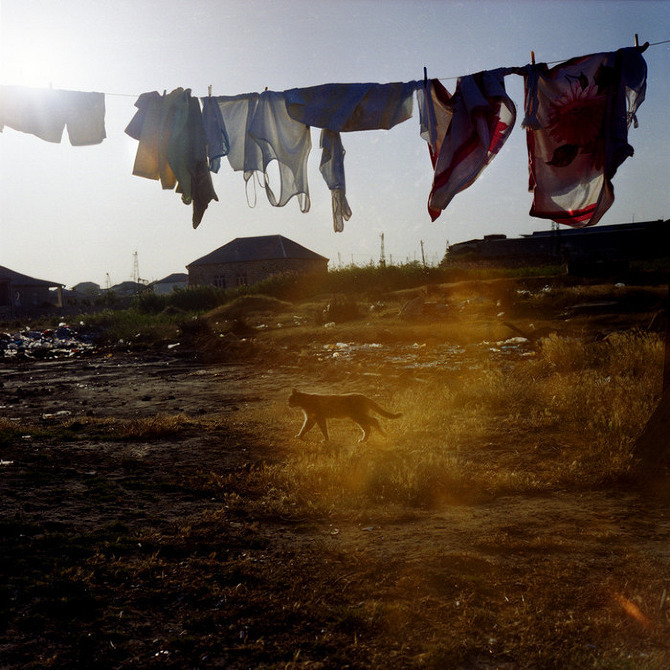 Liquid Land depicts communities and refugees of war living amongst the oil spills and industrial ruin of the petroleum-rich Absheron peninsula in Azerbaijan, near to the capital Baku where Effendi was born and grew up. These landscapes and portraits are paired with images that pay tribute to Effendi's late father, a dissident scientist and entomologist who devoted his life to studying and collecting butterflies in the Soviet Union. 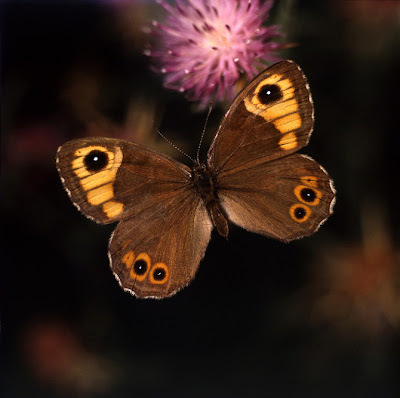 The only remaining visual evidence of his life's work is a collection of photographs of endangered butterflies for a manuscript he never published. Taken as a whole, the exhibition transcends geographical borders to become a collective portrait of people who have survived isolation, devastating pollution and political chaos. 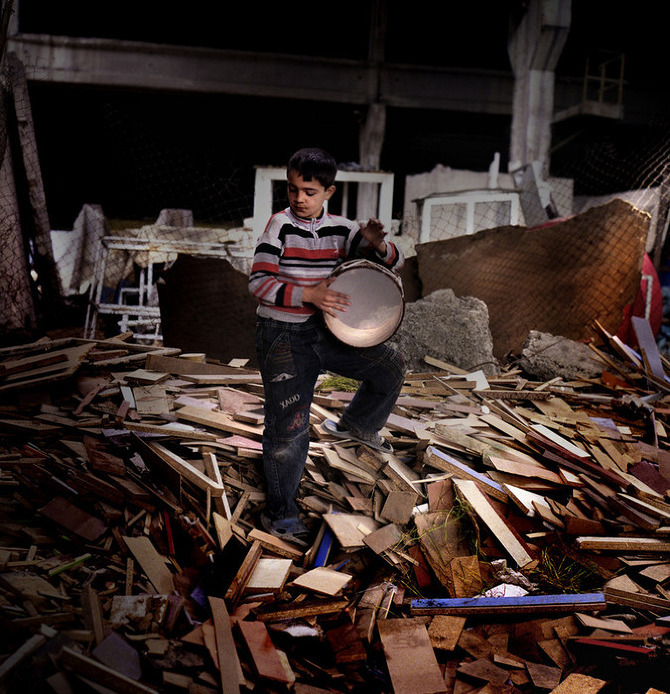 Amidst decay, life goes on: families decorate their crumbling homes with peacock feathers; a boy plays his drum on a heap of construction waste; and iridescent butterflies wings shine in the fresh mountain air. The exhibition runs from 26 April to 22 June 2013. Rinko Kawauchi, the renowned Japanese photographer, has her eyes on the past. Here, in this splendid video produced by Goliga, we gain insight into her project titled Approaching Whiteness. She combines the wisdom and poetry of her photography alongside the time-honoured tradition of the scroll format to explore new ways of photobook making. As the publisher Ivan Vartanian explains in the film, this means of presentation relates to Kawauchi's larger aesthetic interests: "We don't have individual moments or individual frames, rather we have a continuation of moments and a continuum of time." Click here to learn more about the project.